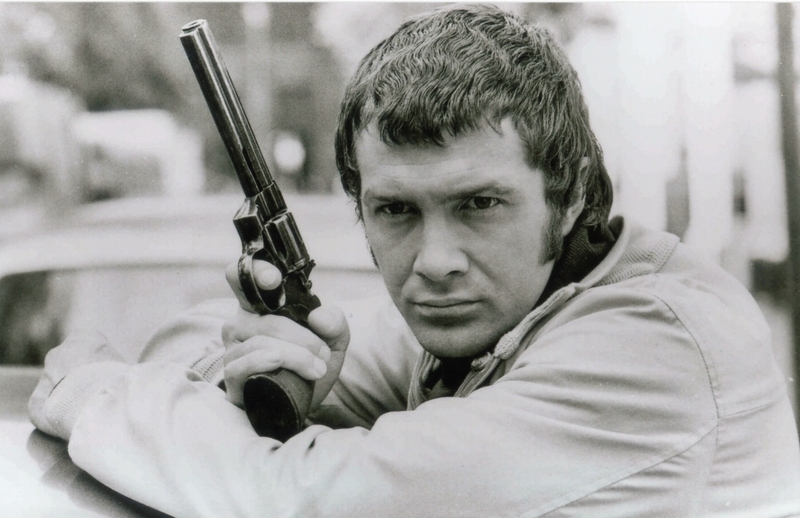 Many will be familiar with Lewis Collins from his portrayal of William Bodie in the British television action series The Professionals. Just as many, however, will also assume that beyond The Professionals Collins didn’t have much of career. That’s not entirely fair, yet it’s not entirely untrue as the work he did never reached the audience that The Professionals did. Despite this, Collins managed to frequently display all the physicality and charisma needed to be a leading action star. So why did he never become one? The Professionals, for those not in the know, was a late 70’s early 80’s series that owed much to The Sweeney, yet was an entirely different beast. Bodie and Doyle, the main characters, were two tough men’s men and members of CI5. They dealt with anything from drug trafficking and hate crime to espionage and global terrorism with a pint in one hand and a gun in the other. The series is often considered as something of a relic and occasionally sniggered at, thanks largely to a roasting by The Comic Strip. Yet for all the unfashionable attitudes on display it had a heart and it was in the right place. Well, in the ball-park. It was frequently violent, yet often questioned the need for violence in pursuit of justice. It had a lot in common with the Italian Poliziotteschis and inadvertently documents a somewhat reflective Britain on the cusp of changing attitudes towards violence, gender and race. The charm of the series, however, came from the chemistry between the leads. Despite not always seeing eye-to-eye on set, Collins and co-star Martin Shaw never failed to sell the idea that whether Bodie and Doyle were kicking a junkie or chatting up a bar maid they were always close friends. For a television show the action was frequently impressive and of the two Collins handled the physical elements far more convincingly. This might have something to do with the fact he was genuine tough guy. He studied Karate, held a black belt in Ju-Jitsu and in later years passed all the entry tests for the territorial SAS, but was only rejected on the grounds that his high profile would present a conflict of interests. 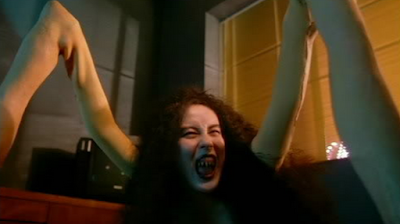 Being hard off-screen, however, doesn't always mean you can appear hard on-screen. Yet Collins just seemed so natural firing a machine-gun, or driving a Ford Cortina through a pile of boxes. No surprise then that he was the one to hit out in an action film all of his own. Shot towards the end of the The Professionals run, Who Dares Wins aka The Final Option (Ian Sharp, 1982) is a criminally underrated action film. Cashing in on the interest in the SAS following their very public storming of the Iranian Embassy in 1980, the film centres on a very similar hostage situation and how Collins, as head of an elite group, infiltrates and takes them down. The film is hardly subtle and kind of cumbersome, but extremely tense and at times brutal. 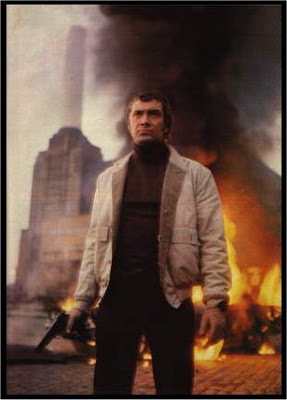 The end siege is short yet thrilling and once again Collins proves that not only can he handle the action but can exhibit considerable screen presence, even when sharing said screen with the likes of Edward Woodward. It wasn’t long before rumours where circulating that he'd been talked to regarding Bond. Collins has gone on record saying he felt the world needed a new kind of hero, yet the Bond producers did not agree, feeling his audition was too aggressive. 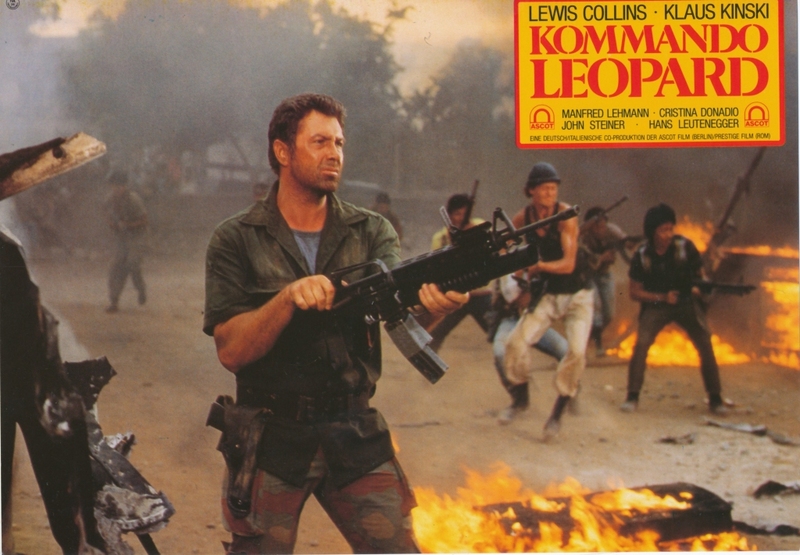 Instead Collins ended up making a trio of Italian/German action films for Antonio Margheriti (Codename: Wildgeese 1984, Kommando Leopard, 1985 and Der Commander 1988) alongside actors such as Klaus Kinski, Donald Pleasence, Ernest Borgnine and Lee Van Cleef. These films play as if someone had decided to make Action Man: The Movie and Collins, even without the scar on his cheek, looks just like the permanently pant-wearing action figure. The films aren't terrible by any means but I can only recommend them for Collins enthusiasts or people who love watching model bridges explode. The model bridge market, it would appear, was quite small and the films never hit big. To many, Collins appeared to fade from view. He cropped up on British television well into the early 90’s but beyond that rarely surfaced. Collins’ last credit was in 2002 and he died in 2013. While The Professionals aired Collins was a household name and a television icon but also had the talent to justify that status and I find it hard to believe no one was able to exploit that in recent years. His age, and health as it would appear, would have no doubt precluded him from finally taking up the action hero mantle he never truly attained but I’ve always felt he would have done wonders in one of the many gangster films Britain currently churns out. I, for one, wish we’d had another chance to see him back on screen, even if it wasn’t firing an Uzi from a car window as it crashes through a tower of cardboard. 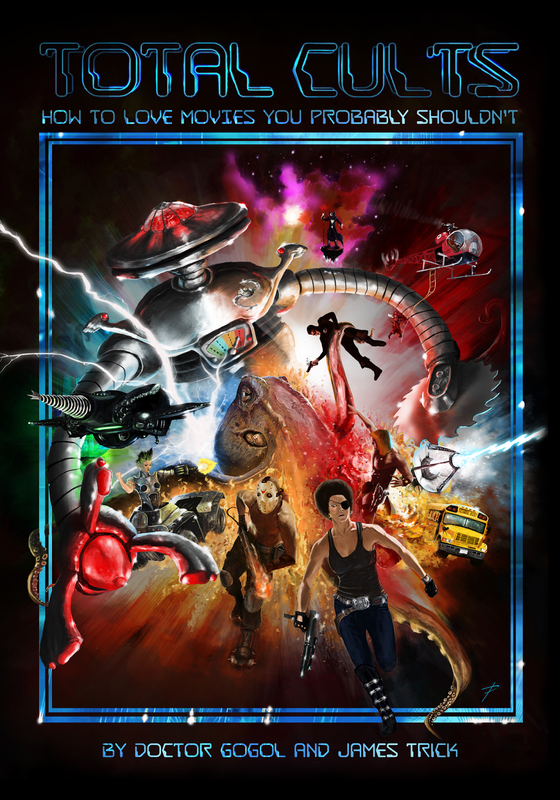 And for those of you hungry for more, here is the trailer for my favourite of the Margheriti trilogy, 'Codename: Wildgeese'.